When mirrorless cameras came out there were some photographers who jumped right on board and sang it’s praises incessantly. To be honest, I wasn’t too thrilled. I don’t know why exactly. I guess it was because I didn’t like people dissing my beloved DSLR, and the thought of “upgrading” was not one I was very fond of. I’m not stubborn, but change was not in my wheel house this time around; especially with some of the notable short comings with the early models that I mentioned in part one of this blog. Then something happened. I had committed to a two week hike with my son as part of a Boy Scout experience at a place called Philmont. It promised a two week trek through the back woods of New Mexico, waking with the rising sun, hiking several miles over mountains and through canyons to the next camp site; day after day for two weeks. A total of 89 miles, 2 summits, and a host of other cool stuff (like a fossilized T-Rex track). All stuff photographers drool to be a part of. The only problem is you take everything you need for those two weeks and carry it on your back. While tents, rain gear, and sleeping bags are part of the necessary equipment, 10 pounds worth of camera gear is highly discouraged. It was time to shop for another camera. I poured over the potential alternatives and mirrorless kept coming up as the natural answer. I wanted the ability to shoot RAW, a fully manual camera so I could choose, ISO, shutter speed and f stop, and interchangeable lenses in a small, lightweight form. That eliminated DSLRs and most point and shoots. Either too heavy or not functional enough. I scoured reviews of all the usual suspects and settled on a Nikon J5. In short, it had all the functionality of a DSLR, and the whole thing including camera, lens and battery weighed less than the walk around lens I attach to my D810. I wasn’t cheap but I got one. Overall, I had a great experience with the camera. It was super convenient to keep out at all times, held in place by a carabineer that I could undo in less than 2 seconds to grab a shot when I wanted. I took close to 1000 pictures and went through 2 and 1/2 batteries in the process. Not bad. My pictures looked great, and I can honestly say there is no way I would have taken so many pictures with my DSLR because it would have been stowed most of the time. Many of the advantages of mirrorless besides weight and size were also appreciated. Such as super fast focus, high frame rate, and an articulating screen, something more DSLRs are starting to have, but not at the time of this hike. My biggest complaint was the low light performance which left me hoping for more. At the end of the day however, I was pleased with my choice and still use the camera today when I’m doing stuff with the family, and don’t want to be weighed down by my big D810. I have one more post to do on this and I promise to get it out soon. I just want to talk about the current state of mirrorless and where I think this is all going. I’ll also discuss why mirrorless isn’t necessarily lightweight or compact anymore. 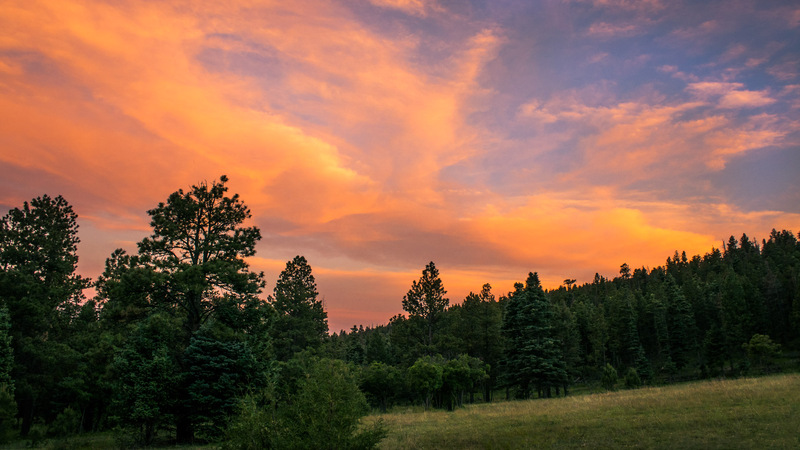 In the mean time, I’ve included another shot with my mirrorless J5 that I took while on my Philmont hike. This is the Maxwell trail camp at Sunset. I hope you enjoy it. Until then…All the Best. I love my Nikon D810, as I think I’ve already mentioned in previous posts. There’s plenty of reasons why, but one I never considered was because the inside is so familiar to me. It has that big flappy mirror, and a shutter, along with that big ol’ sensor right where it ought to be. The same spot where the film was stretched between two rollers when I used SLR’s back in the 1900’s. The path of light came through the lens, reflected off the mirror, got bounced around by a pentaprism, and eventually found my eye. Pretty familiar stuff actually. In fact, it’s all I’d ever known until a few years ago. Then, along came the mirrorless revolution. These cameras had all kinds of names from “next Gen” cameras, to “EVIL” cameras. (Electronic Viewfinder Interchangeable Lens if you were wondering). The truth was no one knew what to make of them, or what to call them. The path of light was much simpler. It comes through the lens and falls on the sensor. So how do you see what your taking a picture of? That’s the EV in EVIL. An electronic viewfinder shows you not the actual light, but the sensor’s version of the image created by the light falling on it’s surface. This was a serious industry disruptor. Dinosaurs like me liked our big flappy mirrors in the DSLRs so we shunned them, and at first it really wasn’t much of a competition anyway. Mirrorless cameras weren’t very good, especially in low light. There were other problems too, like a rolling shutter in the EV that could get you seasick taking action shots, but there were/are serious advantages too; like very high frames per second shooting. After all, there’s no mirror flapping around to slow things down. Another was focus peaking, to highlight any out of focus areas in your image, and a big advantage was a greatly reduced size and bulk factor that came with these cameras. It was starting to become a compelling argument, but for a photographer image quality, in ALL settings, trumps features, and bulk, any day of the week. So went the early chapters of this book, but times have changed. Some of these advantages stood the test of time and others did not, but some of these disadvantages have also begun to be addressed and things are looking brighter for the mirrorless revolution. Part II of this post will discuss my experience with mirrorless (yes, I bought one) and where I think things are going. 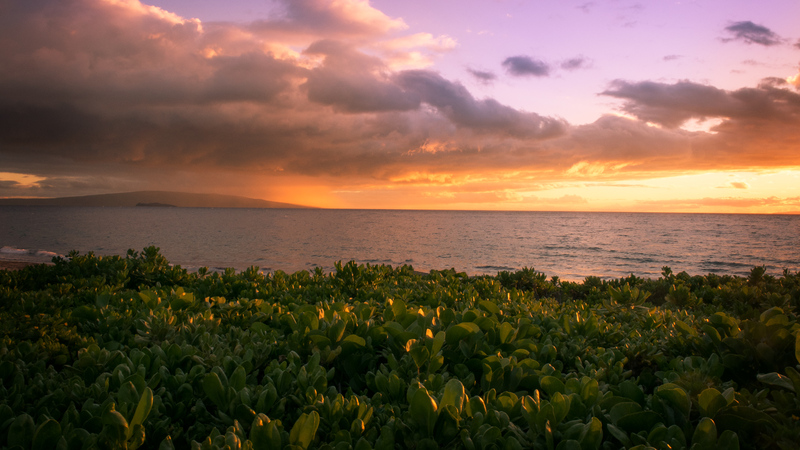 In the mean time, enjoy this picture of a beautiful sunset on Wailea beach in Maui. For those of us caught in the midst of a cold and snowy winter, it is a reminder of the good warm days soon to come. Any yes, it was taken with a mirrorless camera, not my DSLR. Until next time…all the Best!!! !